Change things up with these side-trips from Perth: Dolphin & Whale Watching (in Mandurah) and Fremantle Prison (in Fremantle). Dedicate the 20th (Wed) to wine at some of the top wineries in the area. 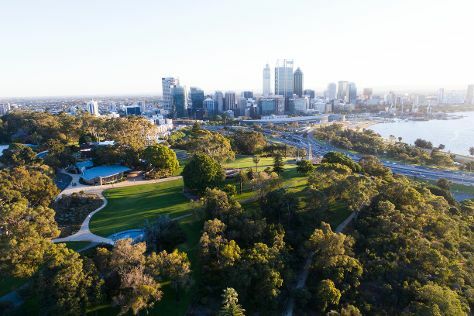 And it doesn't end there: stroll around Kings Park & Botanic Garden, contemplate in the serene atmosphere at St. Mary's Cathedral, don't miss a visit to The Bell Tower, and explore the activities along Swan River. To see maps and tourist information, refer to the Perth online trip maker . Sydney to Perth is an approximately 7.5-hour flight. You can also drive; or do a combination of bus and train. The time zone difference when traveling from Sydney to Perth is minus 2 hours. When traveling from Sydney in February, plan for somewhat warmer days in Perth, with highs around 38°C, while nights are a bit cooler with lows around 20°C. Wrap up your sightseeing on the 20th (Wed) early enough to travel to Geraldton. Geraldton is a coastal city in the Mid West region of Western Australia, located 424km north of Perth.At June 2015 Geraldton had an estimated urban population of 39,825. Kick off your visit on the 21st (Thu): get engrossed in the history at Monsignor Hawes Heritage Centre, pause for some serene contemplation at St Francis Xavier Cathedral, then kick back and relax at Back Beach, and finally kick back and relax at Town Beach. 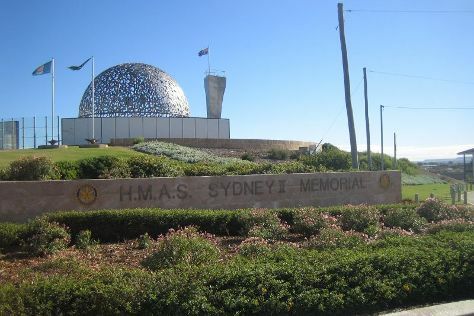 Keep things going the next day: take in the waterfront at The Esplanade, then get engrossed in the history at Museum of Geraldton, then see the interesting displays at The Tin Heads, and finally browse the exhibits of HMAS Sydney II Memorial. To find ratings, reviews, maps, and more tourist information, refer to the Geraldton trip planner . You can fly from Perth to Geraldton in 3 hours. Other options are to drive; or take a bus. In February, daily temperatures in Geraldton can reach 38°C, while at night they dip to 22°C. On the 23rd (Sat), you're off tohome.